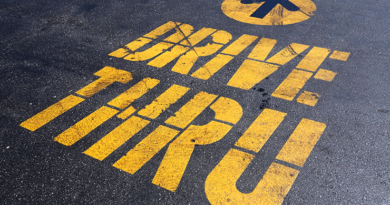 Welcome to our new regular feature, The Drive Thru – our weekly summary of fast food releases around the world from McDonald’s, KFC and Burger King. Missed the updates through the usual BURGER LAD® channels? 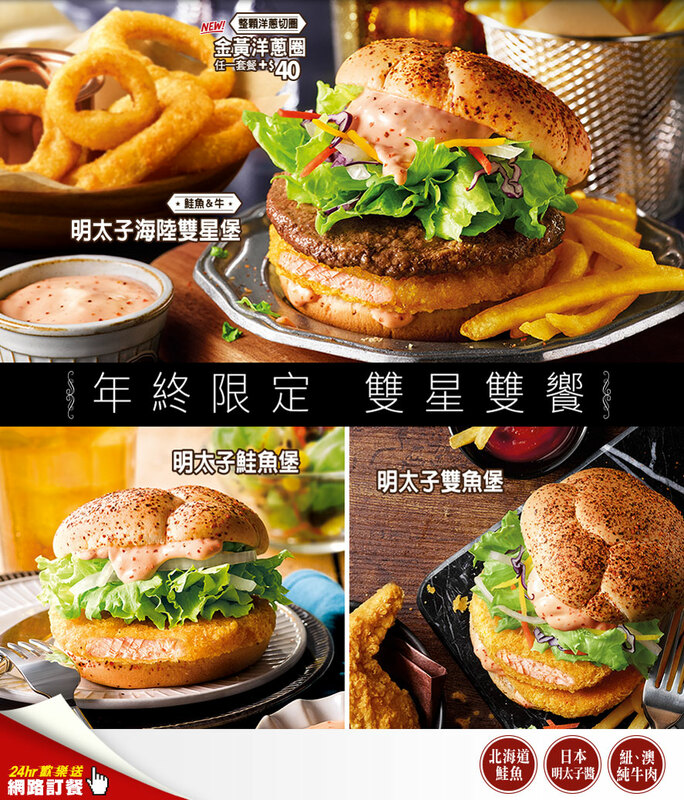 Up first this week is the FIVE patty Whopper from Burger King Japan. 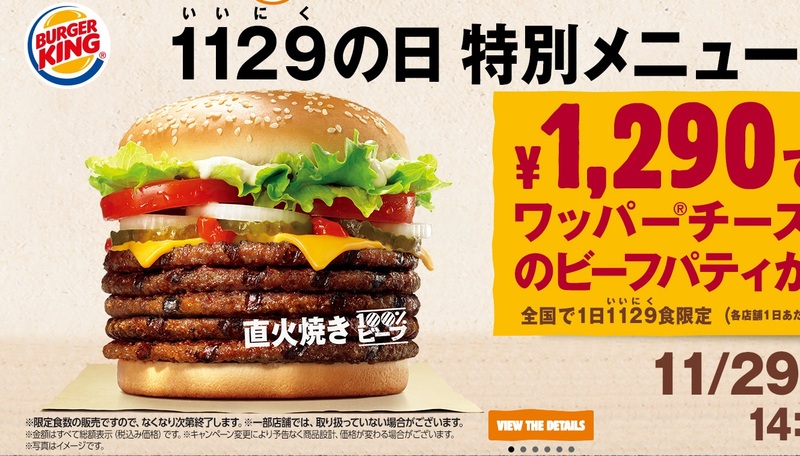 Available from 29/11 to 02/12 this really big Whopper has certainly been the main attraction this week! 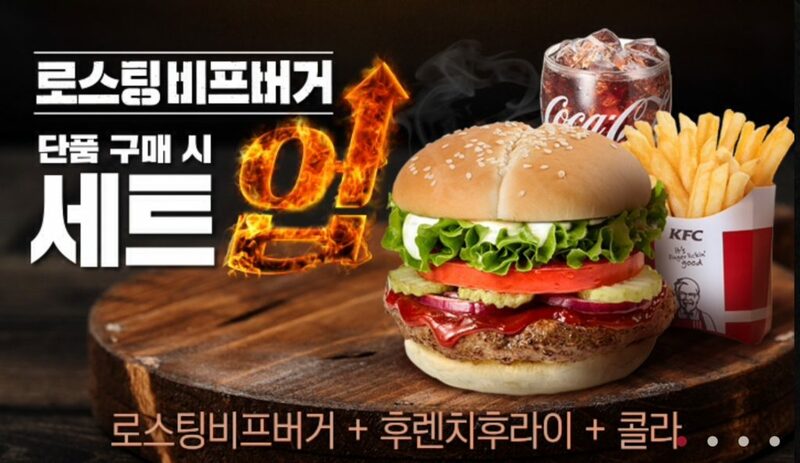 Another burger causing a stir this week was the Bacon King 3.0 from BK Italy. We’ve seen the Bacon King on many menus across the world but this is the first sighting of a three beef patty version. 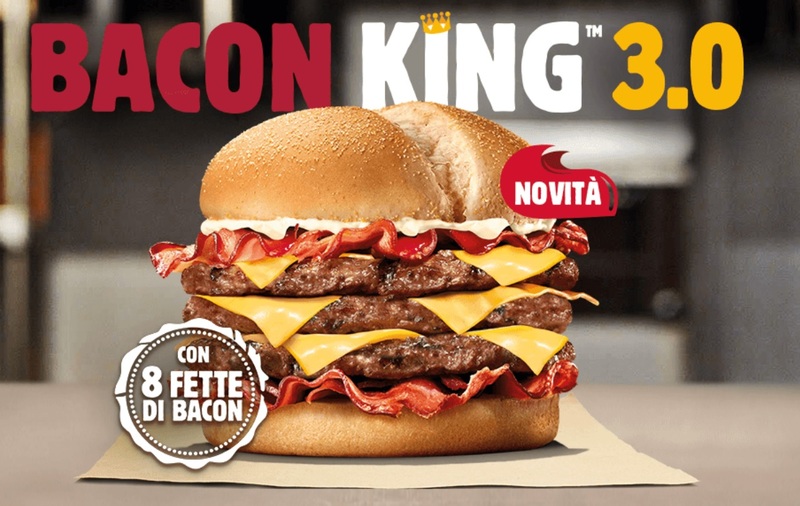 With eight slices of bacon this monster clocks in at 1,342 kcal according to the Burger King Italy website – ooft. Another burger making the headlines this week is the newly released Double Mushroom & Swiss Burger (also available as a single) as part of the Signature Crafted Range in the USA. If McDonald’s ever do limited time promotions of their Signature Collection we would love to see the Mushroom & Swiss on the UK menu. 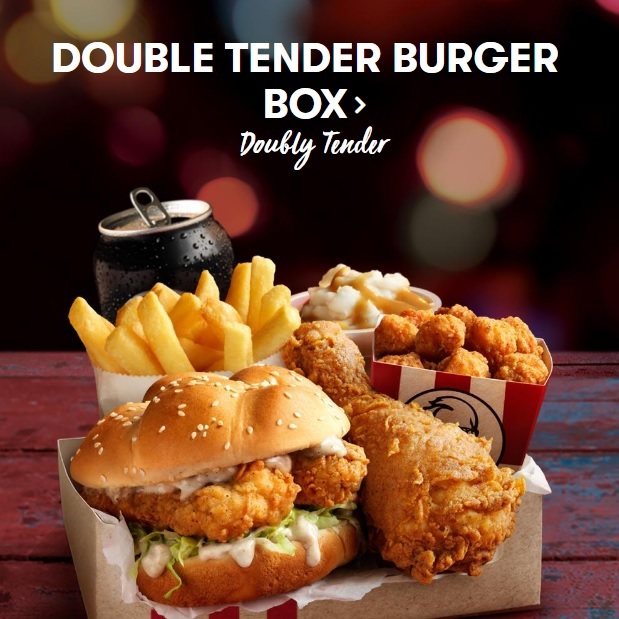 KFC have added the Zinger Gold to its menu for a limited time – this comes with a BBQ honey mustard sauce. The Summer BBQ promotion at Burger King includes the South Carolina BBQ Steakhouse, Summer BBQ Steakhouse and BBQ Bacon Whopper. The Far East always has some interesting menu items and the trend continues this week with some of the releases we’ve tweeted about. 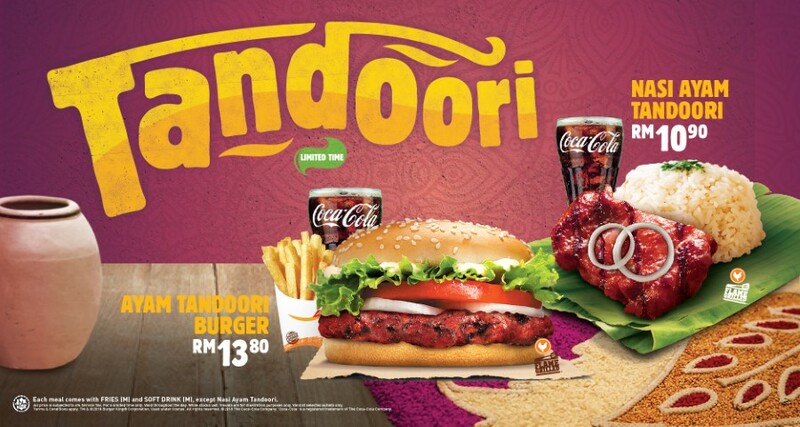 These include; Surf (Salmon) and Turf burgers returning to McDonald’s Taiwan, Goldspice Tenders at KFC Singapore, a cracking looking Ayam Tandoori Burger at BK Malaysia and an Oven-Roasted Beef Burger at KFC South Korea. Yes beef at KFC – and it’s not the first time! McDonald’s Malaysia are celebrating the festive season with the Hot N’ Crispy Chicken and Smoky Grilled Beef – part of the Season to Indulge promo. 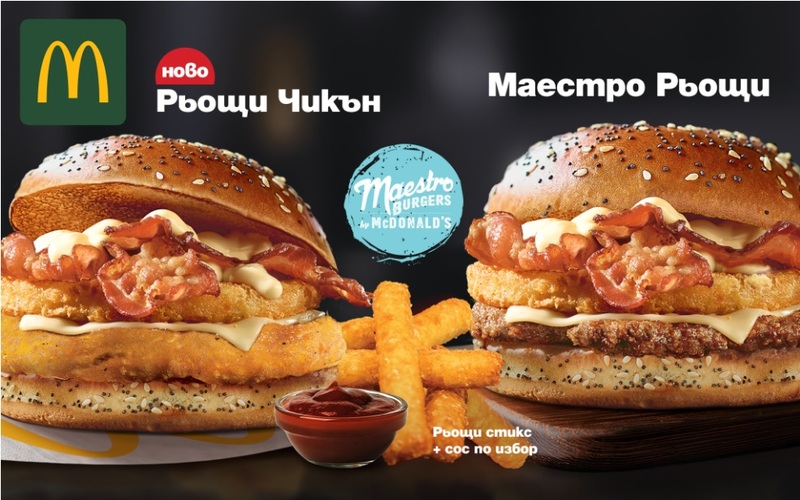 In Europe, we’ve seen the return of Rösti burgers at McDonald’s Bulgaria as part of their Maestro range. Sweden are celebrating Christmas with the McSelection range – you basically choose your protein (beef/chicken/veggie). 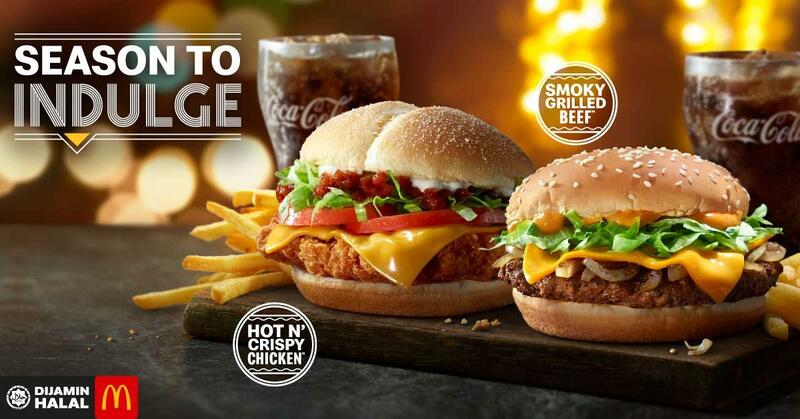 As reported, Burger King Spain and Portugal have also launched the Grand Whiskey BBQ range and McDonald’s Canada are promoting their Seriously Chicken burgers/sandwiches alongside Herb & Garlic Seasoned Fries. And of course, Nando’s will be offering PERi-PERi Chicken Gravy from Tuesday 4th December. As you can see, it’s been another busy week in the Fast Food Lane. What do you think of these worldwide releases? Which would you like to see in the UK? 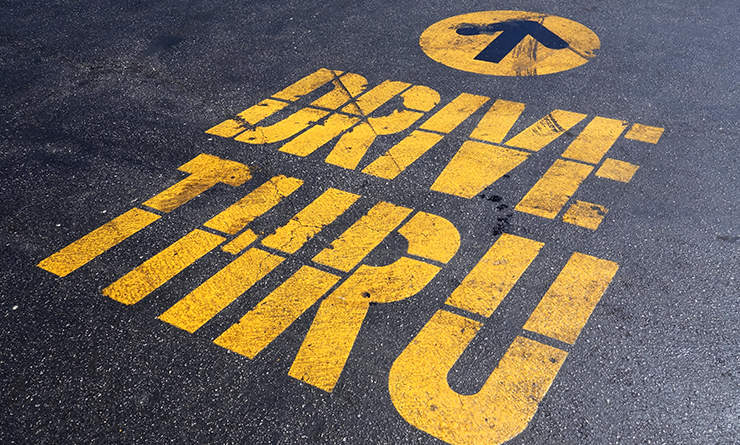 You’ve just been through… The Drive Thru.